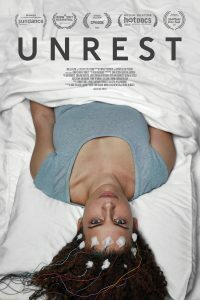 We’re hosting a showing of ‘Unrest’, an award winning documentary from Jennifer Brea, an ME/CFS sufferer. This disease has affected our church and we’re very pleased to be able to host this film on November 1st. A free screening of ‘Unrest‘ followed by a panel discussion in which representatives of ME Research UK will participate. Free, with a collection for the work of ME Research UK. Unrest is an profound and moving film which has played to sold-out audiences at film festivals around the world, with many coming to see Unrest two or three times, bringing along family and friends.